mexican rice recipe | how to make restaurant style authentic mexican rice with detailed photo and video recipe. 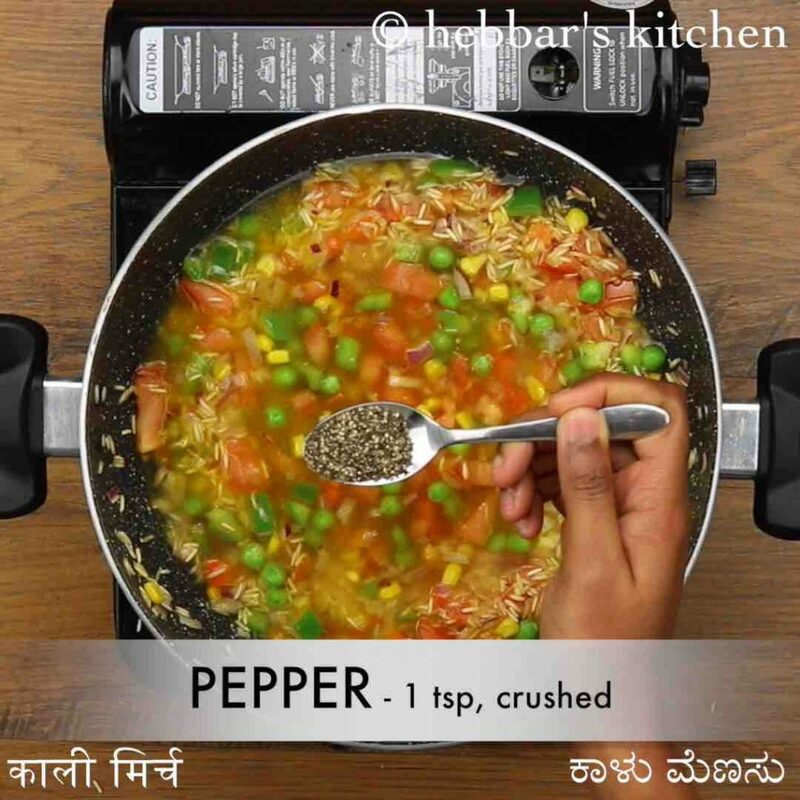 flavoured and healthy rice-based side dish recipe prepared with tomatoes and vegetable stock. it is popular dish in mexico and spain but in india it is mainly served for mains and as lunch box recipe. 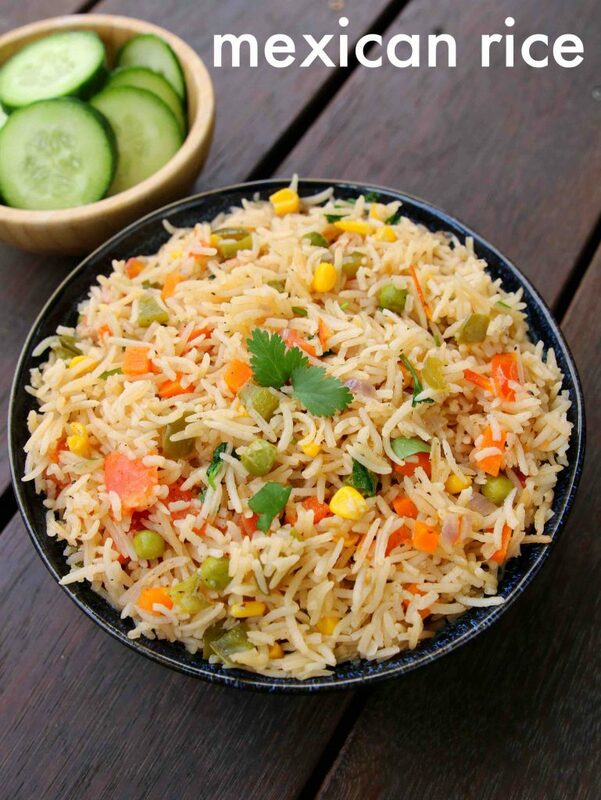 the rice is very similar to our own vegetable pulao recipe and tastes good when served with raita or spicy curry. mexican rice recipe | how to make restaurant style authentic mexican rice with step by step photo and video recipe. indian cuisine deals with several dishes prepared from the cooked and uncooked rice for lunch and dinner. but at the same time, indian cuisine has been exposed to many other cuisines and embraced its dishes accordingly. 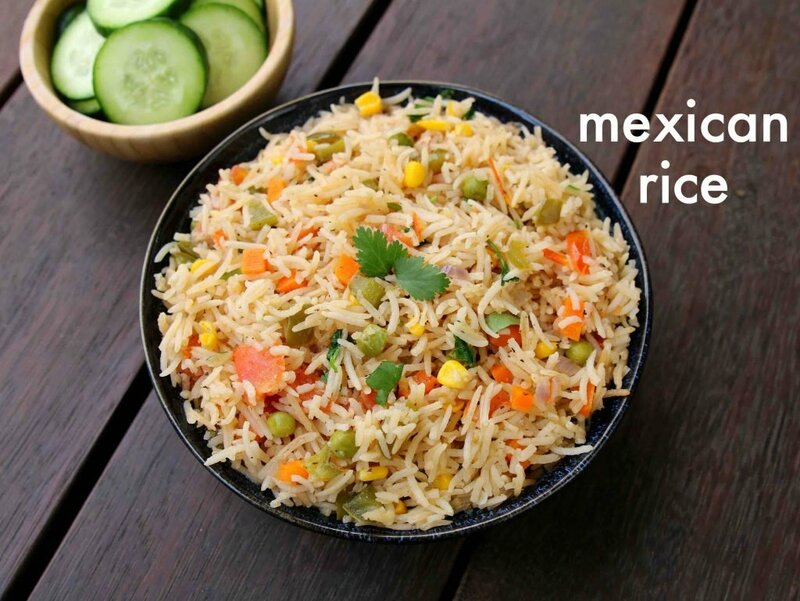 mexican rice is one such flavoured recipe which is prepared with vegetables and served for lunch or dinner. i have posted several rice and pulao based recipes in my website till now and but mexican rice recipe is very unique compared to all. the distinguishable unique characteristic of this rice recipe is the usage of broth or vegetable stock. traditionally the dish is cooked in a chicken stock with a choice of meat. but i have used all the vegetarian alternative to suite and meet all my vegetarian readers. further, the recipe inherits the mexican way of cooking and hence it uses tomato or tomato puree. 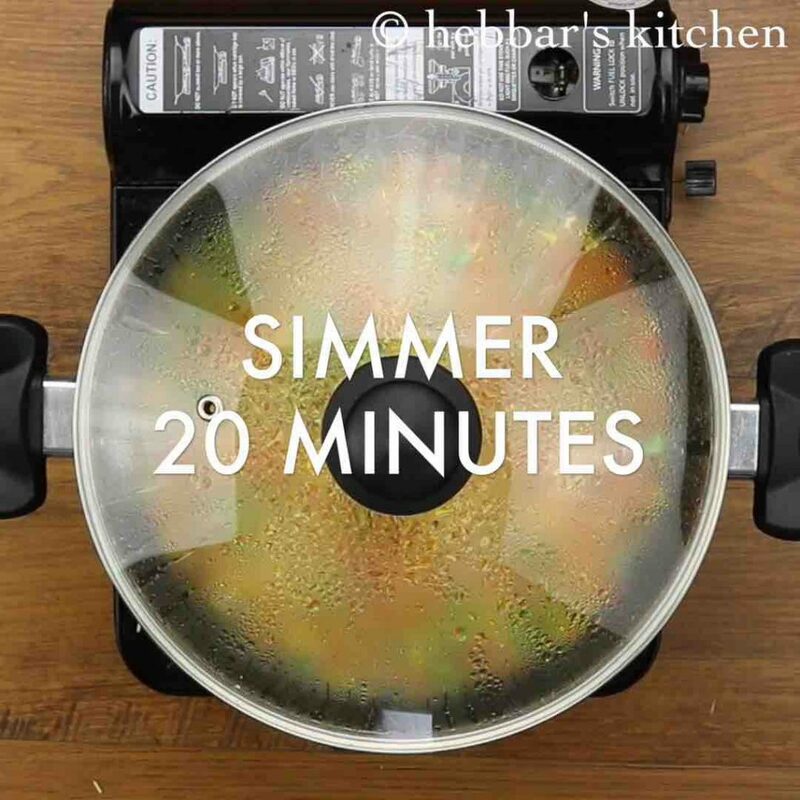 honestly, it makes the entire recipe much easier and faster to prepare it. further, the recipe is incomplete without the jalapeno pepper but can be adjusted with choice of any capsicums or bell pepper. as previously mentioned, mexican rice recipe is very easy to prepare, yet some tips and suggestions for it. 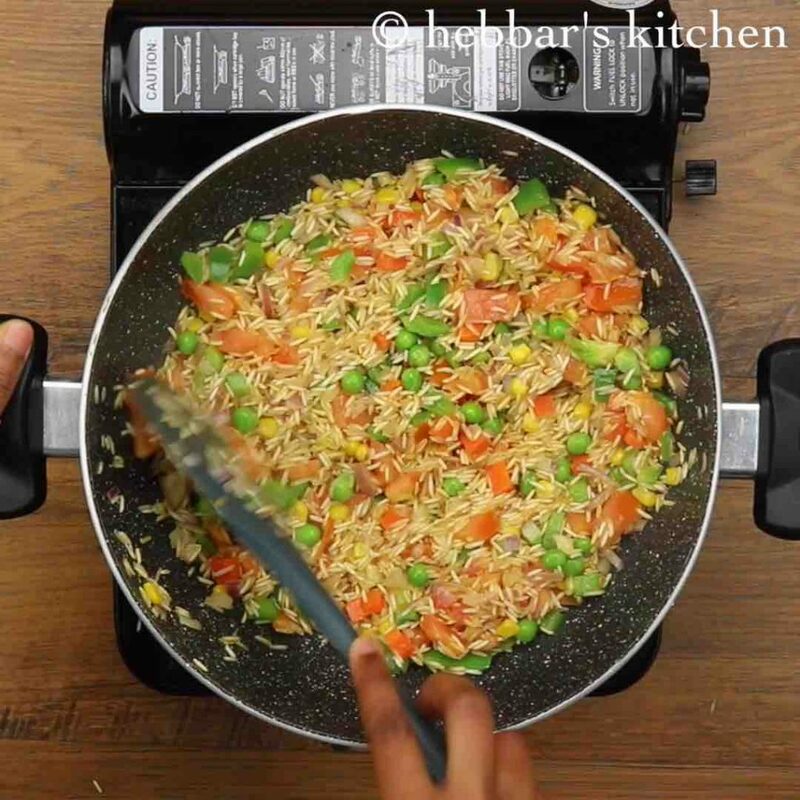 firstly, in this recipe, i have used basmati rice which adds necessary flavour and aroma to the recipe. but it can also be replaced with sona masuri or even brown rice to make it healthier. secondly, in terms of vegetable bell pepper and sweet corn is a must and cannot be ignored. having said that you can experiment it by adding any other choice of vegetables on top of it. 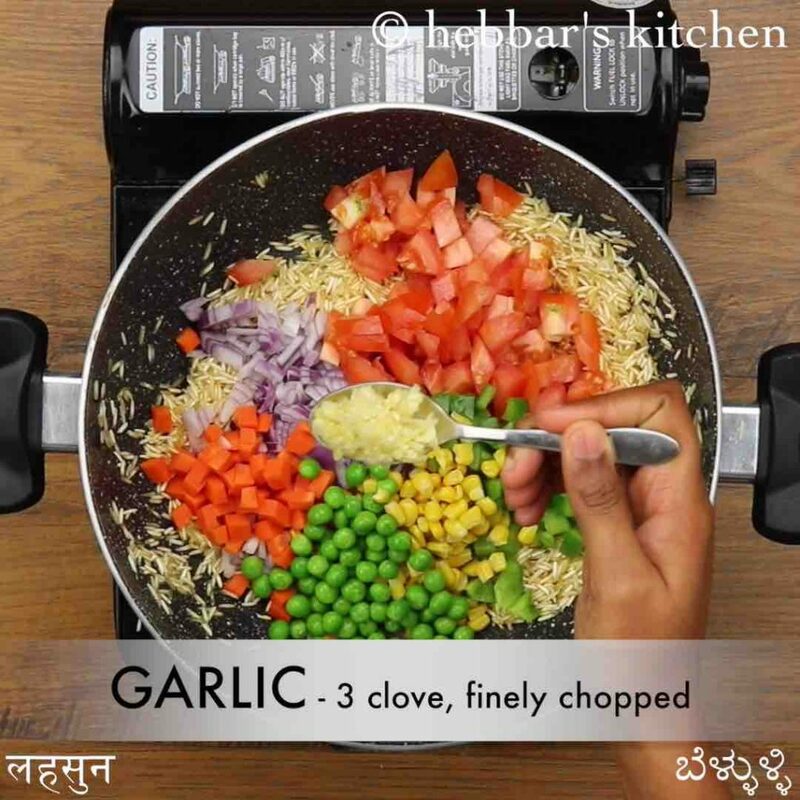 lastly, this recipe is prepared with vegetarian ingredients to meet the non-meat eater’s requirements. but if you are fine with meat, replace the veggie stock with chicken broth and also add boiled eggs while serving. firstly take 2 tbsp olive oil and roast 1 cup basmati rice. 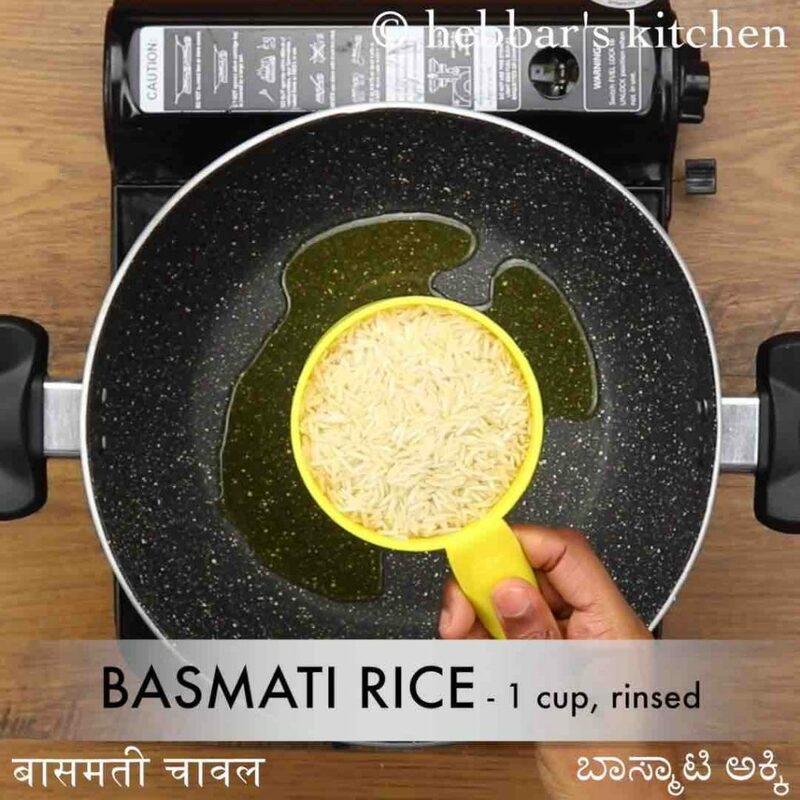 make sure to rinse basmati rice well and drain off the water. roast on low flame for 5 minutes or till nutty aroma comes and rice turns golden brown. 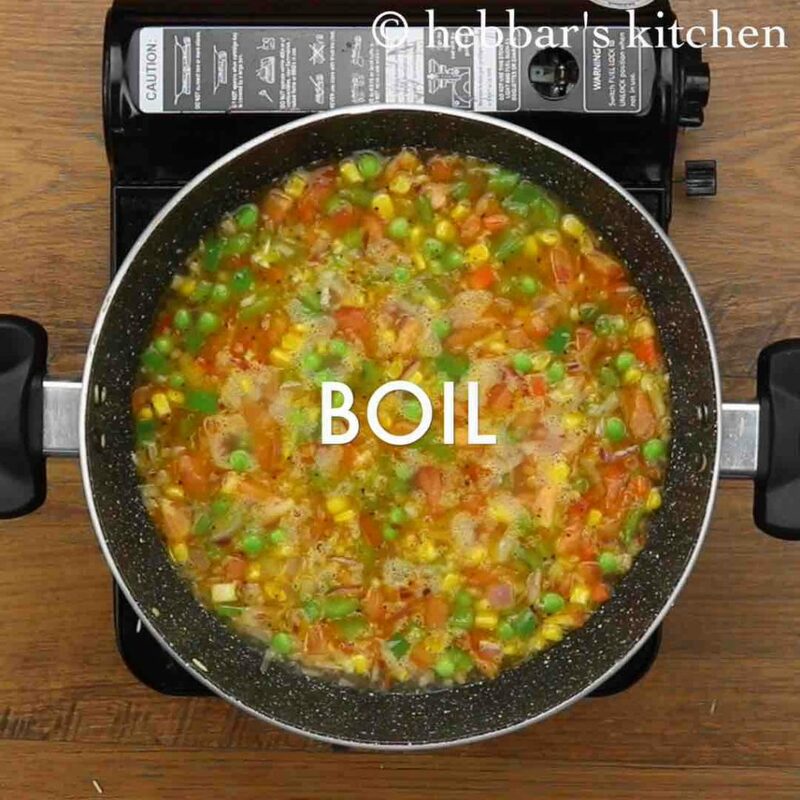 now add ½ onion, 1 tomato, ½ capsicum, 2 tbsp carrot, 2 tbsp corn, 2 tbsp peas and 3 clove garlic. saute for 2 minutes, or till vegetables shrink slightly. further, add 2 cup veg stock or use water. 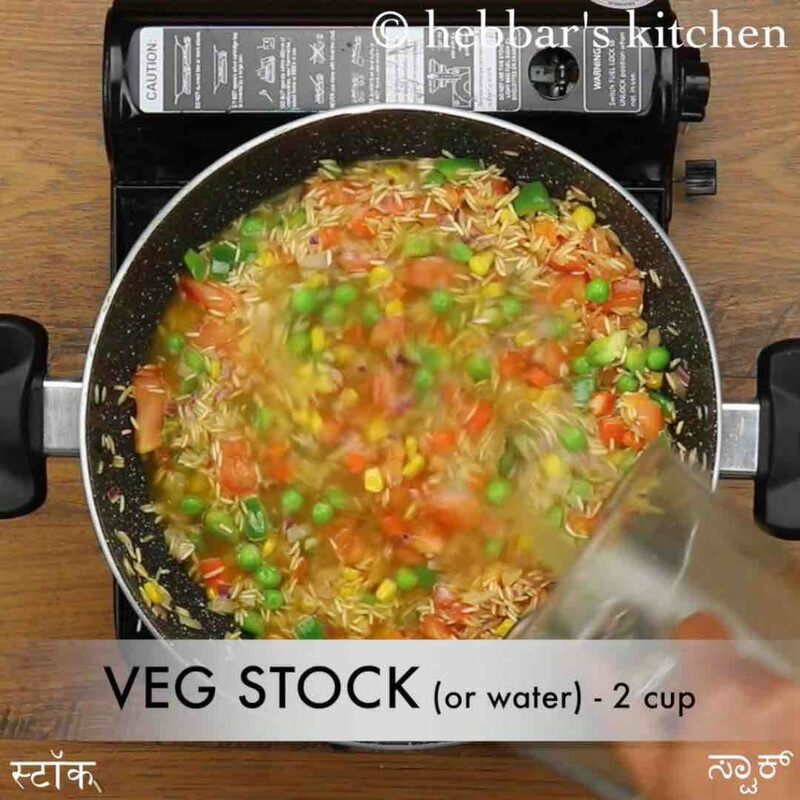 to prepare veg stock to refer yakhni pulao recipe. also add 1 tsp pepper, ½ tsp salt and mix well. get the water to a boil on high flame. 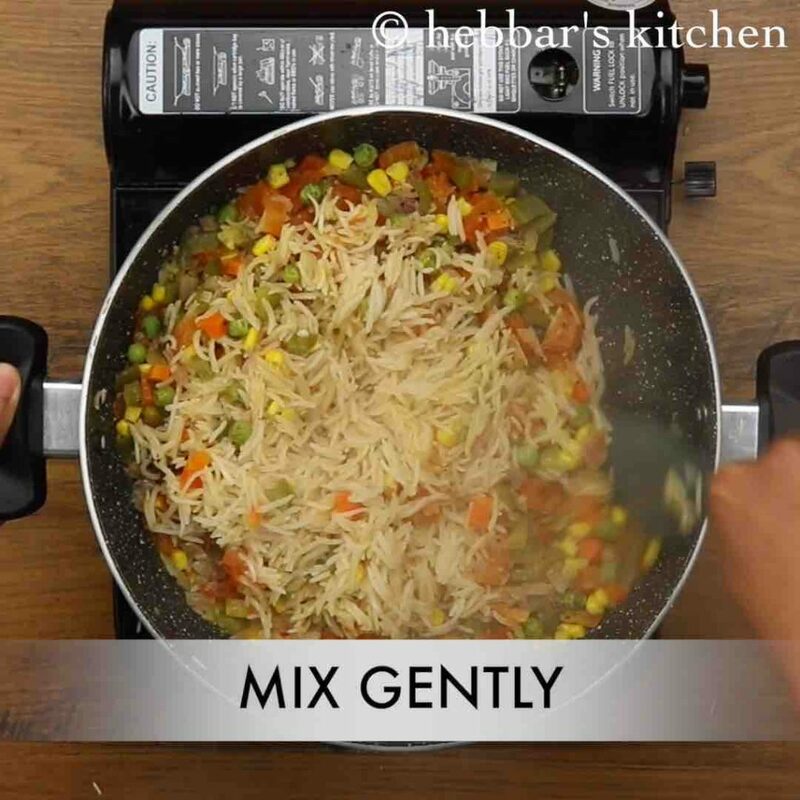 now cover and simmer for 20 minutes or till rice is cooked completely. 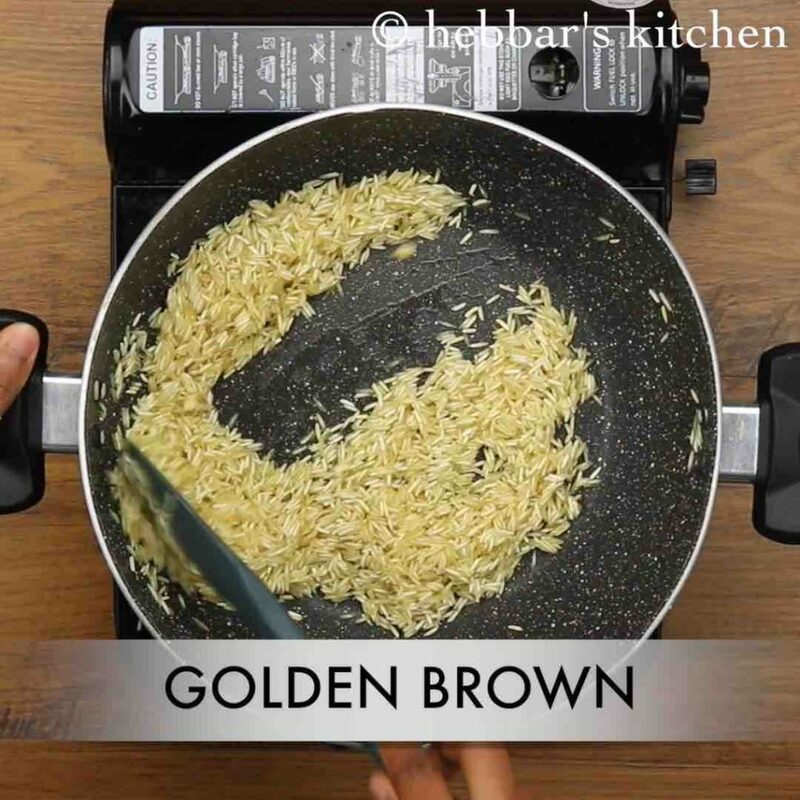 after 20 minutes, stir the rice gently without breaking rice grains. 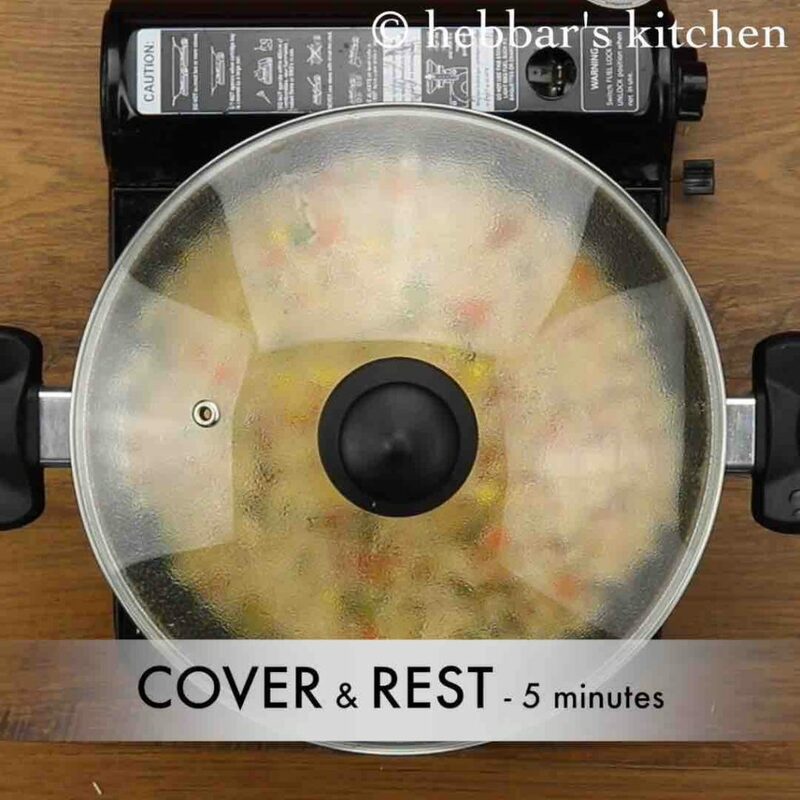 turn off the flame, cover and rest for 5 minutes before serving. finally, mexican rice recipe is ready to serve with lemon and coriander. firstly, roast rice well to make authentic mexican rice recipe. additionally, adding vegetables are optional, however, it enhances the flavour and nutrition. furthermore, use canned tomatoes or tomato paste for strong flavour. 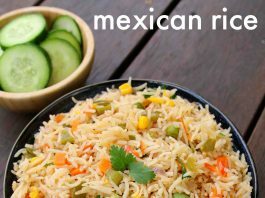 finally, mexican rice recipe tastes great when prepared with long grain rice / basmati rice.